The assembly of phenomenon that earth is. The beauteous wonder from the hand of the creator. All is there is the handwork of the mighty masterpiece earth. 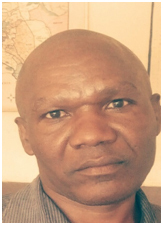 Evanson Njuki from Embu County, Kenya has written books such as Tomorrow, Abyssinia legacy, and short stories. He is actively seeking a published for his works.